If you are looking to revamp your patio getting it set with pavers is a good idea. 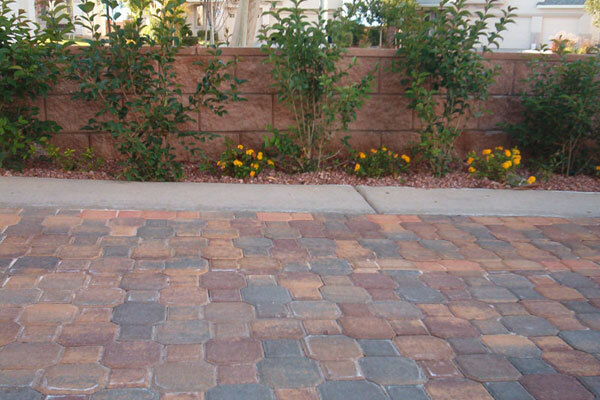 As tiling with pavers becomes common in American homes, paver designs are also becoming more colorful and innovative. 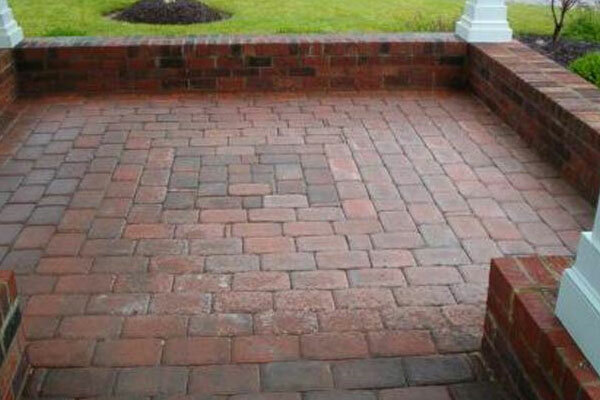 The best part about pavers is that it gives your patio a fresh new look that is easy to maintain for years. 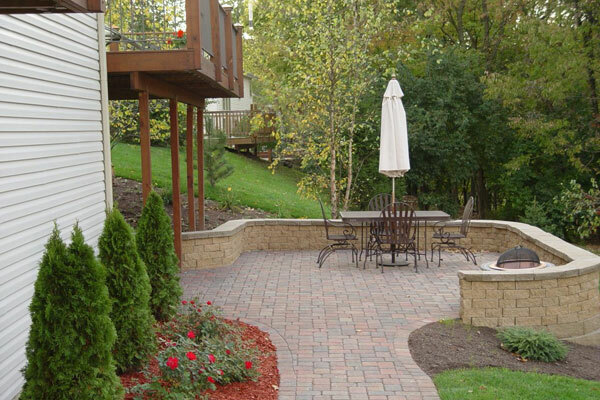 Muted shades look great in Paver Patio Designs, and if you have a small area to cover you can go for small-sized pavers. For a large area overlooking a private swimming pool flat well-designed pavers can look really trendy. Before you go for pavers it is a good idea to find out what design innovations you can use to make it more useful. 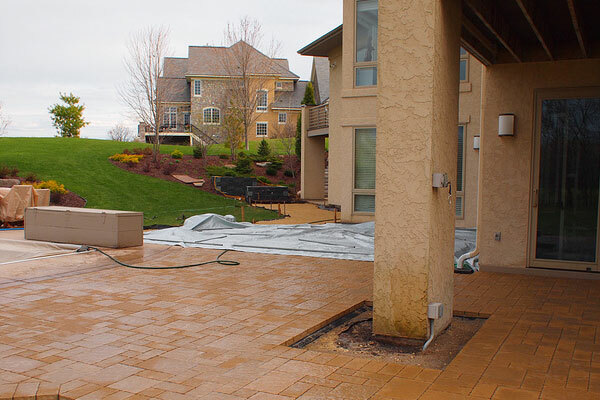 A sloping design for the patio lets the water drain away quickly without pooling in ugly spots on the pavers. The designs for pavers range from regular rectangular tiles to those that form neat interlocking ‘V’ shapes, to stylish circular patterns. 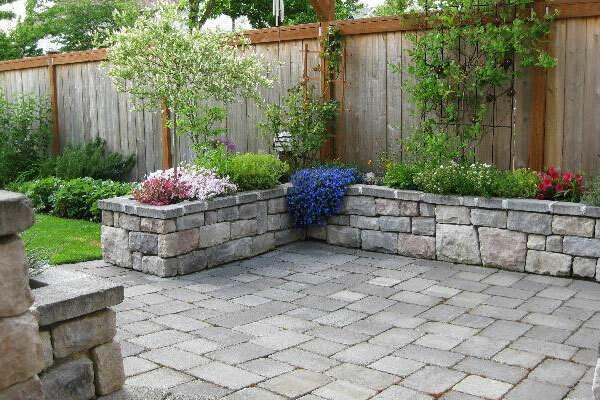 If you have a small regular area to cover uniform-sized pavers look good, but for a larger area you can experiment with different sizes of pavers. Instead of keeping the look uniform you can alternate the sizes of the tiling, or make interesting variations among the regular tiles for a neat look. Play with colors and sizes to bring a well-designed look to your patio. 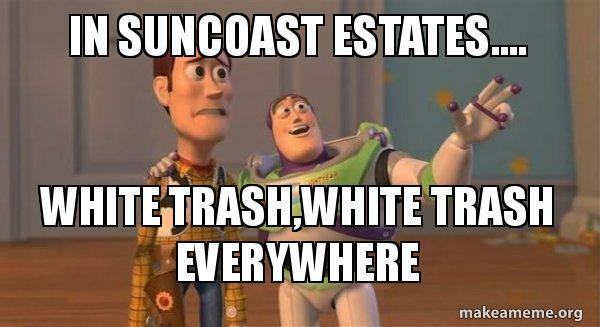 You can go for a design with mostly the same colored pavers with a contrasting colored paver thrown in for variety. 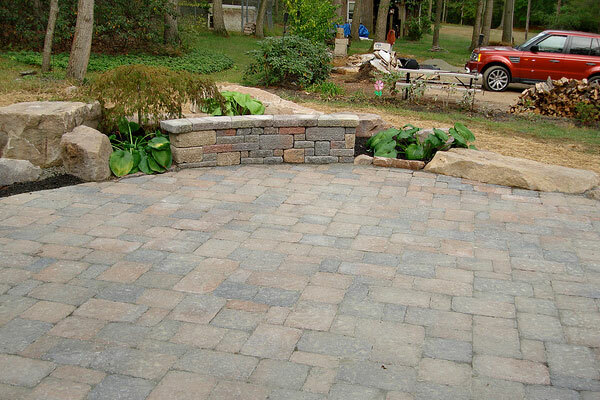 Bounding the sides of the paver patio design with a single line of pavers also looks great. Have fun redesigning your patio! 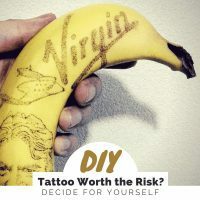 If you like this article, you might be interested in some of our other articles on Patio Garden Ideas, Pool House Designs, Walk In Closet Design and Home Office Design Ideas. Laid out with small interlocking pavers the distinctive look of this patio comes from the pretty pavers boundary around the main design. A pattern of many sized rectangles makes up the covered area beside this stunning swimming pool. 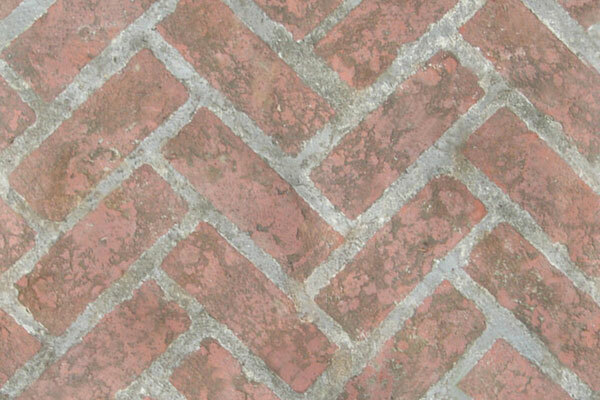 Check out the single line of rectangular pavers bounding in the design. The area of light orange pavers looks beautiful in the patio attached to the small house. The pavers extend all around the small family style swimming pool. 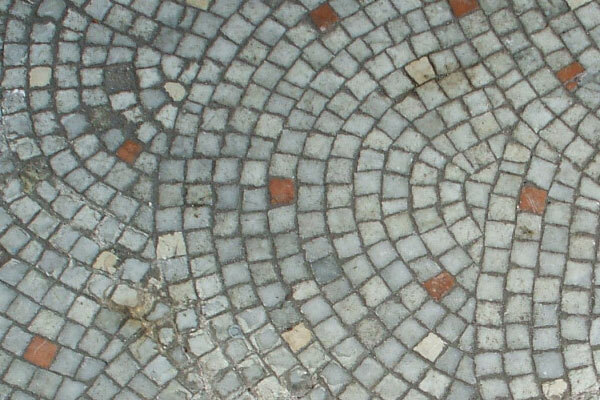 A strong light brown tiled boundary separates the semi-circle from the horizontal area of paver patios in this picture. 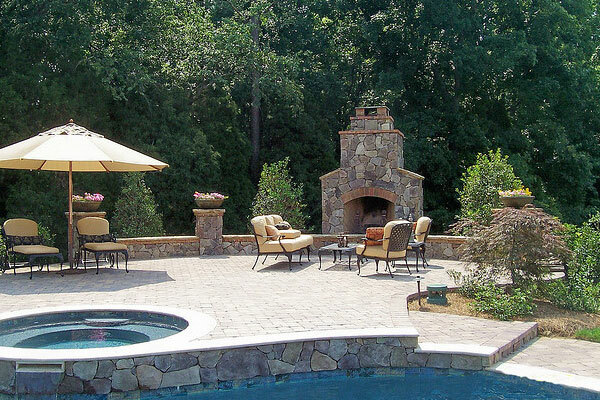 The touches of limestone gray and muted white among the mainly orange shaded pavers give a bright look to this patio. 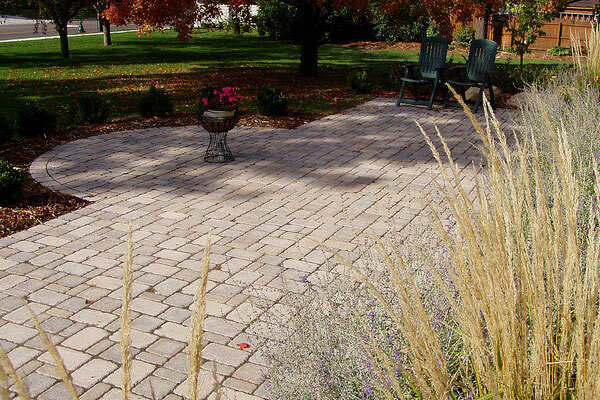 Many sizes of narrow rectangles come together in interesting patterns in this large paver patio area. 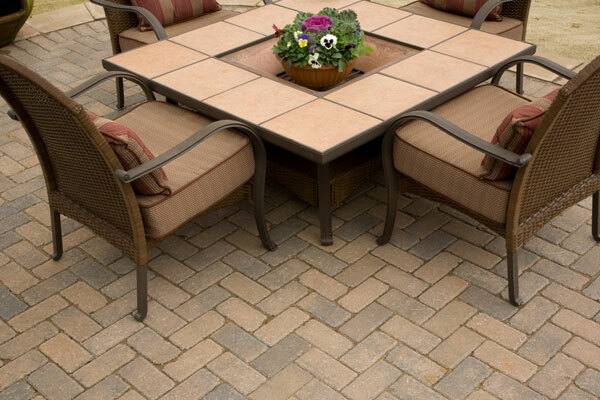 With one tile interlocking with another to make neat ‘V’ shapes this paver patio design has become popular for its extra strength. This paver patio uses an interesting play of shapes as it alternates small rectangles with larger eight-sided pavers for a rich look. The area of rectangular pavers outside the house looks really beautiful with the green garden just alongside. 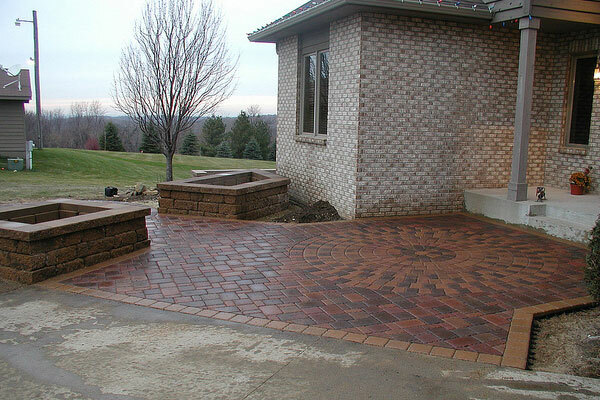 This is a common paver patio design with hexagons that uses the pattern of honeycombs for inspiration. 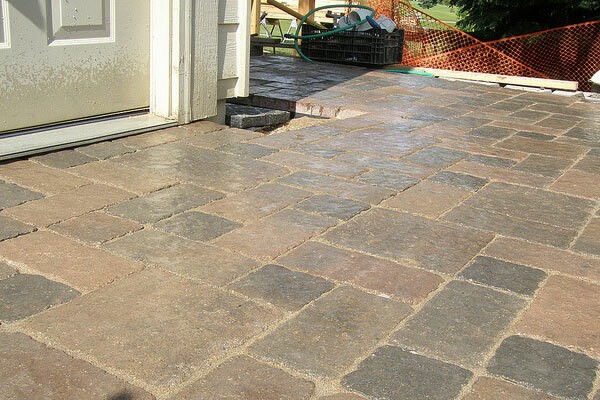 Check out the soft textures of the patio pavers making for a warm look before the doorway. 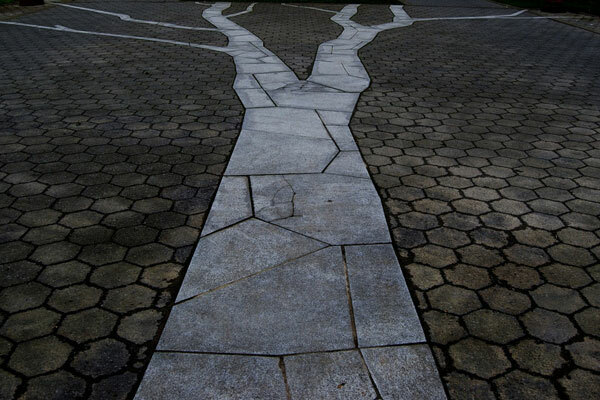 The pavers are extra-large with a few prominent squares as a part of the design. 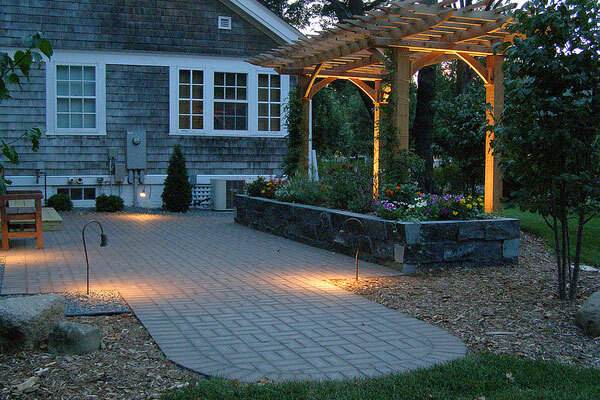 This elegant patio design in muted shades builds around a small squarish area of interlocking pavers. 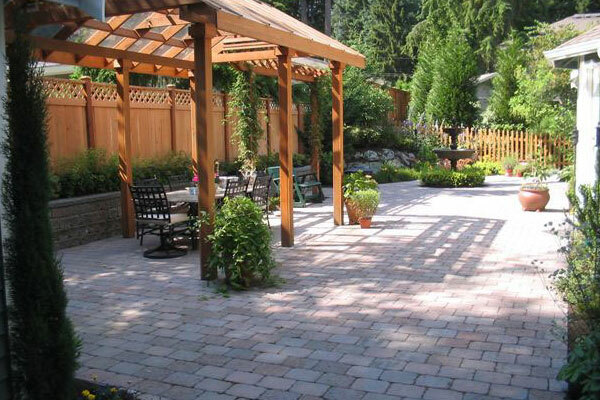 Rectangular pavers have been laid out in a complex pattern to make up this interlocked theme paver patio design. 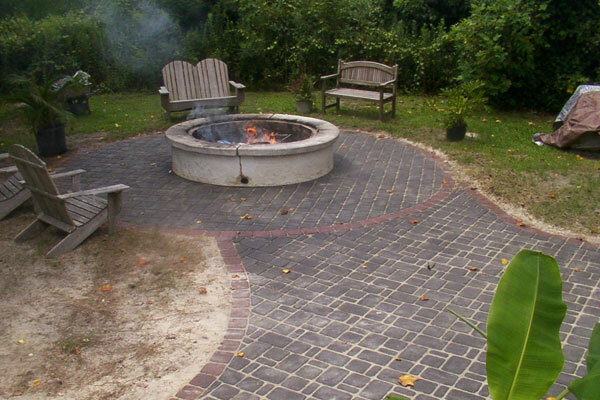 Area of circles curve over each other forming patterns of arches in this artistic paver patio design. Touches of orange among the pale pavers add more style. 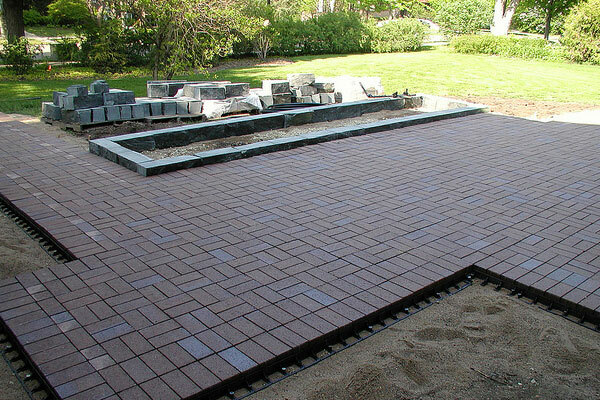 This is a pavers patio design using a regular mix of rectangles of many sizes. Note the area of circular paver design on the side. 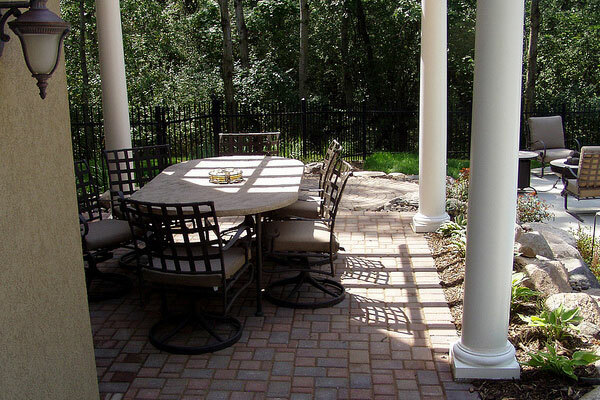 Rectangular pavers have been set out in alternating patterns making for a low-key designer effect for this family patio. A strong circular layout with the rest of the pavers set in a diagonal manner makes up this patio with a stylish paver boundary. 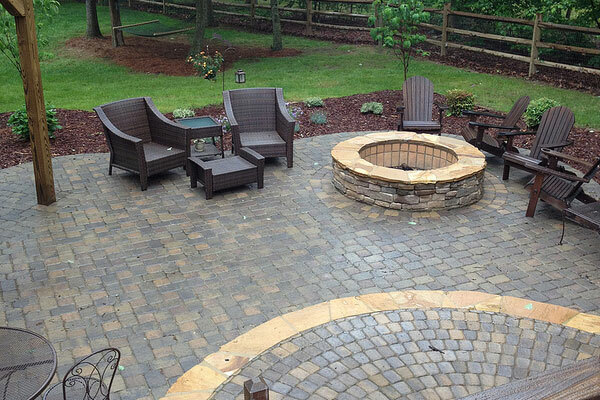 Dark gray pavers in an arty mix of squares and rectangles look gorgeous in this patio design. Check out the differently laid out pavers in the circular area alongside. Note the warm shades of the pavers in this beautiful patio with many sized rectangles making up the design. 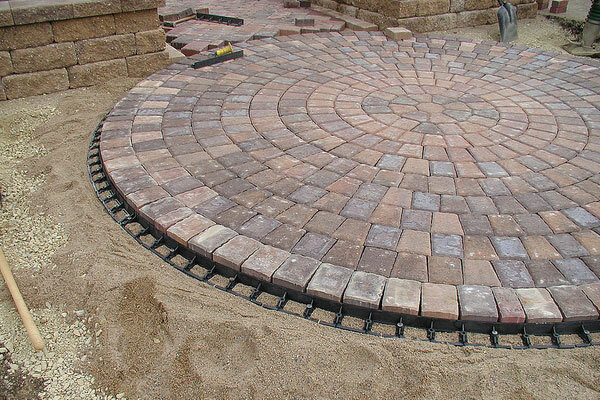 The pavers have been laid out in a neat circular design spiraling out from the center to match the round shape of this patio. An interlocking design in neat ‘V’ shapes makes up the pavers of this cheerful patio overlooking the garden. This is a large area around the swimming pool laid out with pavers in pale shades for a stylish look. 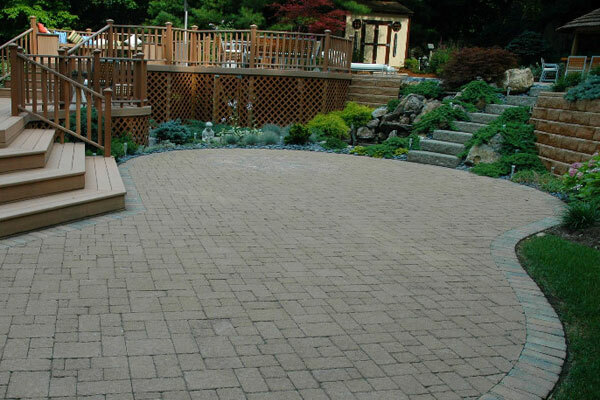 Narrow rectangular pavers in muted shades ranging from light brown to gray make up this unusually shaped patio. Check out this large paver patio laid out with dark shaded pavers with light gray tiles breaking the regular pattern for an interesting look. 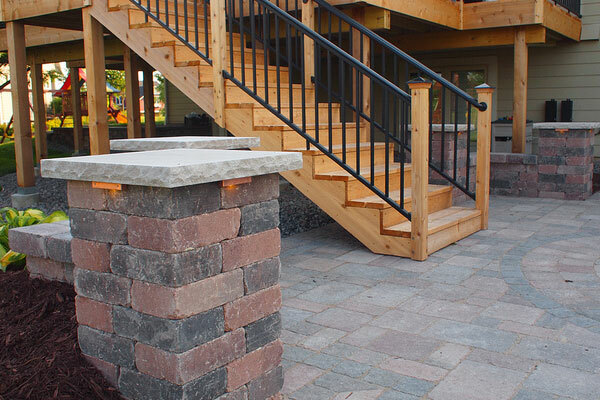 A design based on interlock makes up this neat patio design, with the pavers getting added strength from the overlapping pattern. 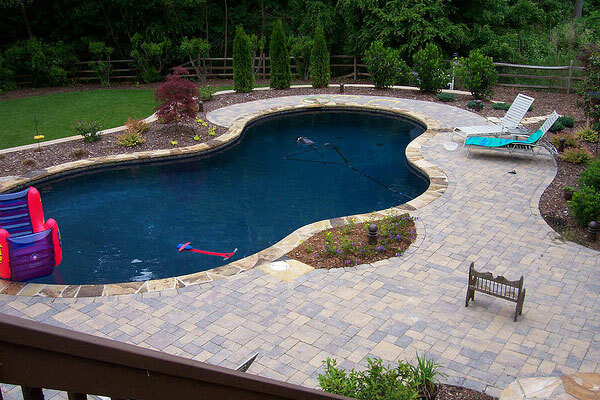 A design with very pale pavers in rectangles and ‘L’ shapes marks this huge patio surrounding the pool. 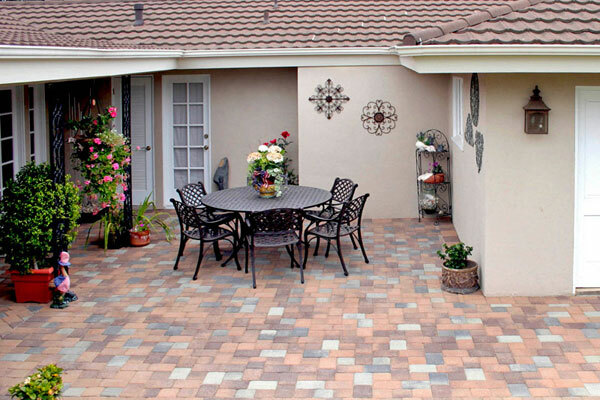 Many-colored small pavers in rectangular shapes make up this small and elegant family patio. This is a rough textured paver for a small patio. 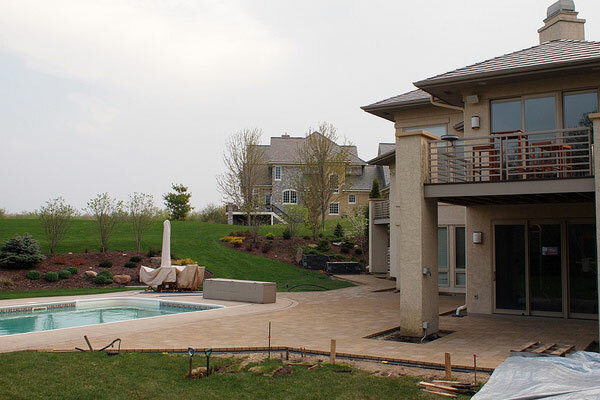 See how the natural feel of the pavers adds to the green surroundings. This well-designed patio laid out with a tongue shape area looks beautiful with neat many sized rectangles and a narrow paver boundary. 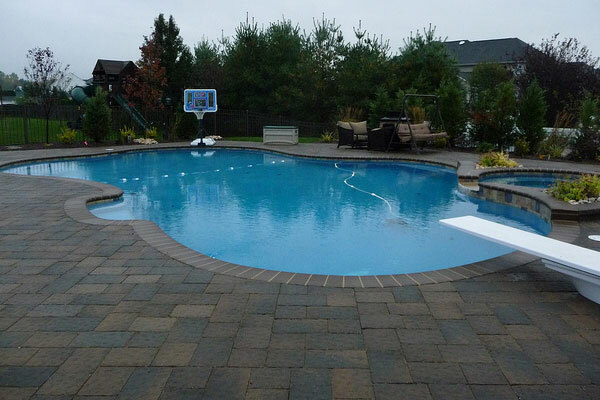 Check out this stylish paver patio in muted colors that curves neatly around the asymmetrical shape of the swimming pool. 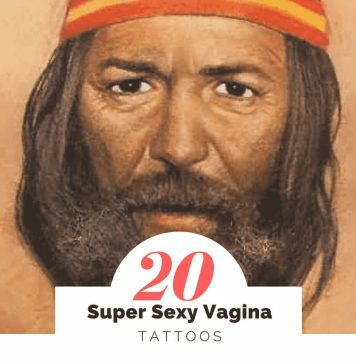 There is a very good selection of designs on offer, I think I like them all equally.